Slovakia is a young country with a long history, an enduring culture and an old language. The country’s recent history has been one of frequent change, but the traditions of the Slovak people are rich and easily perceived in the architecture and geography of their surroundings, in their customs and celebrations, and in their general warmth and determination. Although Slovakia is small, it has much to offer, and the Slovaks are hospitable, optimistic, and proud to show their country to the curious guest. Visitors who dare to step outside Bratislava’s Staré mesto (Old Town) and move away from the crowds of tourists will be rewarded both in human terms and by the varied natural and built landscapes that lie beyond. Armed with the insights information provided on the values, customs, social and business life of the people, combined with an open mind and sensitivity to difference, your experience in Slovakia will surely be a memorable one. 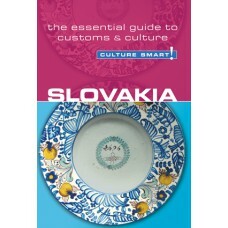 Of course, the country is much more than what any text may describe, but every effort has been made to capture the essence of what makes Slovakia unique. Take the time to get to know this modest, stoical, humorous, and responsive people, and no matter where your journey in Slovakia takes you, you are bound to warm to them and be rewarded with good relations. While every journey includes inevitable obstacles and occasional frustrations, it is what we learn from these that ultimately makes travel so worthwhile and rewarding. Ahojte! Dovidenia!